Time moves on. Costs go up. In order to ensure we can continue to provide a great service, we’ll be increasing the wholesale rates on some of our products. These price changes are coming into effect from January 3rd, 2019. 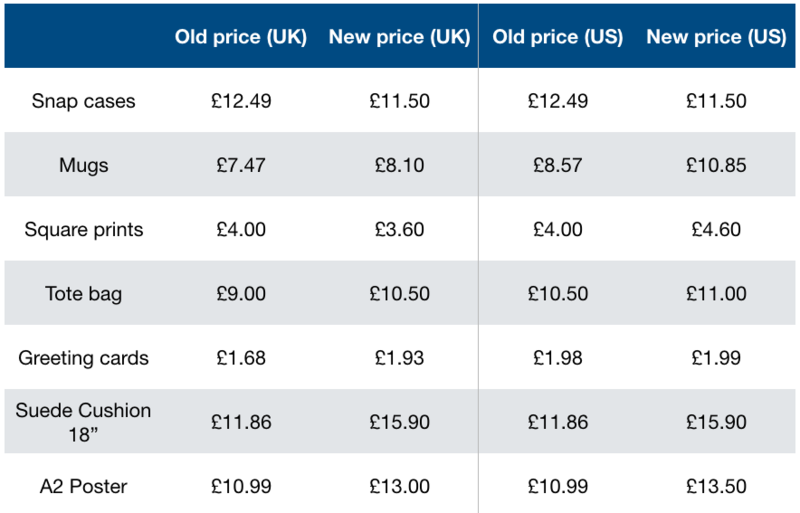 Below is a summary of price changes for some key products for US and UK shipping. For full up-to-date details, alternative shipping destinations and currencies other than GBP, see our products and pricing page. 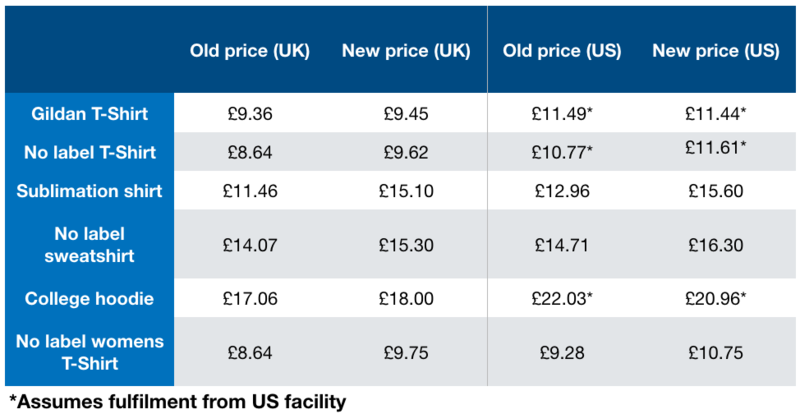 Prices below are in GBP, exclude VAT and include the shipping price, as indicated, for UK / US destinations. We base our pricing for the year on the currency in which our suppliers operate, usually GBP or USD. From Jan 3rd, 2019, we will be revising our foreign exchange rates more regularly, so if we charge you in USD and you predominately sell products for which our prices are set in GBP, you may see very small fluctuations in price as regularly as once per month. From Jan 3rd, 2019, we will begin charging transaction fees to partners who use our payment processing tools to allow Kite to charge their customers on their behalf. In practice, this will only affect users of our mobile SDKs. It will not affect any merchants on Shopify or BigCommerce. This change will not affect merchants on Shopify or BigCommerce.